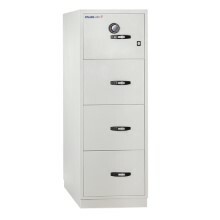 Efficiently store your sensitive documents while ensuring your peace of mind: Chubbsafes' fire files give you the combined benefit of efficient storage and fire resistance in one product. 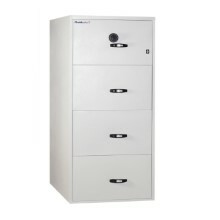 Today, storage space for files and other documents is difficult to come by in most offices. Even when space is available, files are often left unprotected from the threat of fire. Fires that result in the destruction of business records and paperwork can spell disaster for many organisations and, in some cases, bankruptcy. 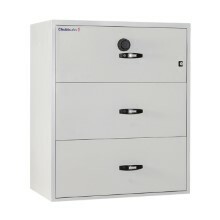 Chubbsafes' fire files offer a variety of reliable and efficient storage solutions with the added benefit of fire resistance from one to two hours. 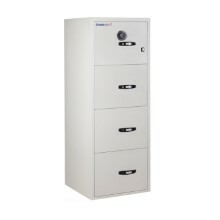 Each range has been tested to simulate the impact of a real-life fire to ensure you can breathe easy knowing your files are safe in the event of a major incident.